We often refer to cars as automotive art but this Chevrolet Corvette C7.R is genuinely a piece of moving artwork. Don’t worry though, it’s not going to fester away in a gallery. In just under two weeks’ time it will be tackling the 24 Hours of Le Mans, the world’s most famous endurance race. ‘Art cars’ are nothing new in the world of motorsport; BMW famously raced cars in the 1970s with paintjobs by world famous artists such as Andy Warhol and Roy Lichtenstein. While the design – created by French artist, Ramzi Adek – gives off a similar pop art vibe to those classic Munich racers, the Corvette’s colour scheme will continue stand out from the crowd, even when the race at Le Mans heads into night. 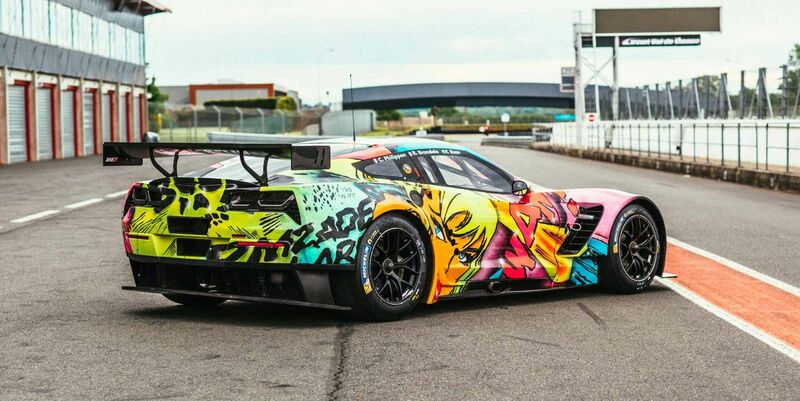 Thanks to Adek’s use of DayGlo paint, the Corvette art car (to be run by five-time Le Mans class winners, Larbre Competition) will glow in the dark, hopefully dazzling their competitors in the process. Okay, so that may be wishful thinking but the unusual design will certainly help to keep the eyes (and cameras) of the 250,000 or so spectators on the French team’s Corvette. 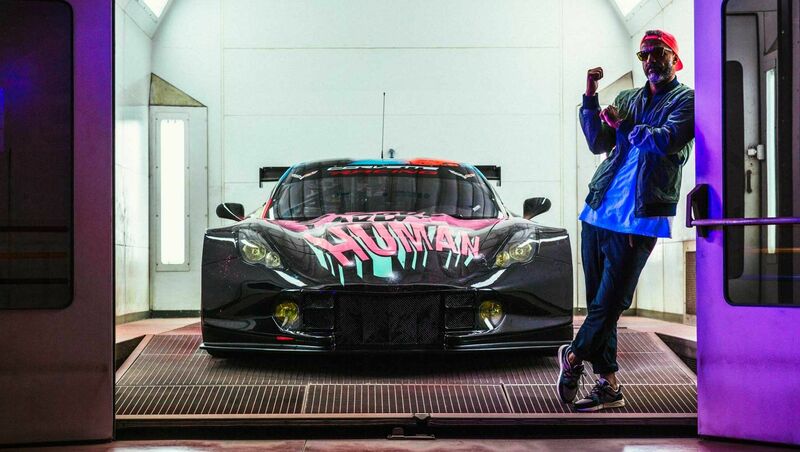 Known as “Human”, the livery was commissioned by one of the car’s three drivers for Le Mans, Romain Brandela. 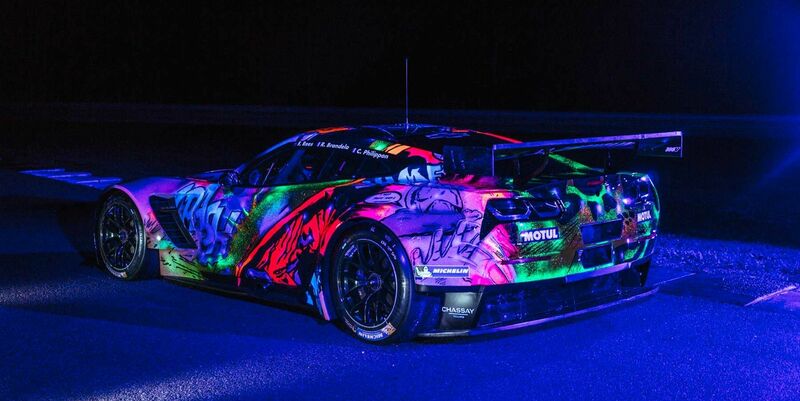 “He knew about my work through a mutual friend and contacted me to produce a spectacular livery for the 2017 Le Mans 24 Hours,” Adek explains. Bar a few key words from Brandela, the French pop artist was pretty much given carte blanche with the car’s carbon fibre bodywork, choosing to come up with an aggressive style that certainly gives of a street graffiti vibe. Adek admits that the design is slightly tongue-in-cheek too. Inspired by the striking artwork of superhero comics, the Corvette is plastered in onomatopoeic words. “When the Corvette overtakes another competitor, he will get a “BOOM” right in the face!” the artist laughs.